Get a durable, authentic Military Kilt for your living history impression! Get a durable, authentic Military Kilt for your living history impression! Are you a kilted living historian? What’s your ideal military kilt? Maybe you portray a World War I Canadian infantryman. Or perhaps a World War II British officer. 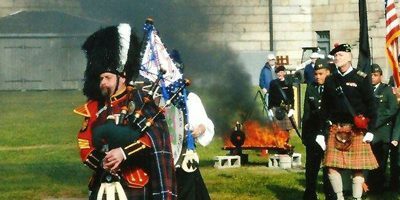 If so, you know how hard it is to find a military kilt that looks accurate, is made to spec and is actually durable enough to survive the average weekend event. 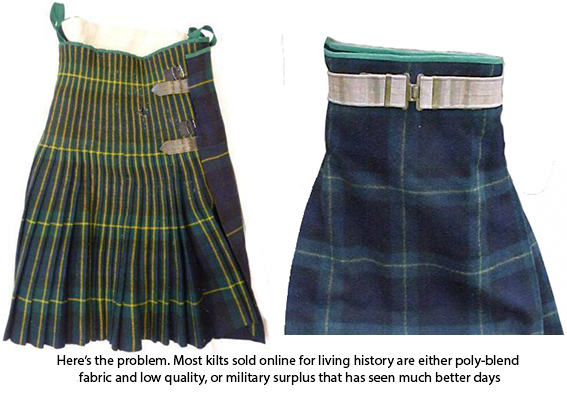 What about wearing an actual surplus kilt? So who is making decent reproduction kilts? 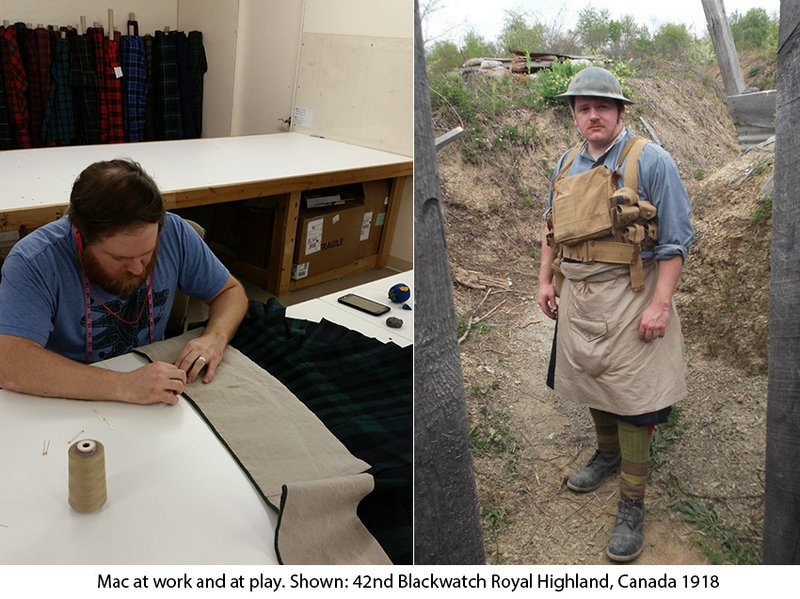 We asked Mac to spec out what makes a proper reenactment kilt. One thing led to another, and now we are making them on a custom basis. 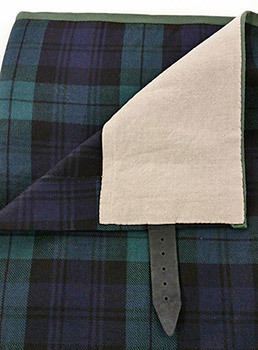 So, you can get a Reproduction Kilt made by a kilt maker who is also a long-time living historian. 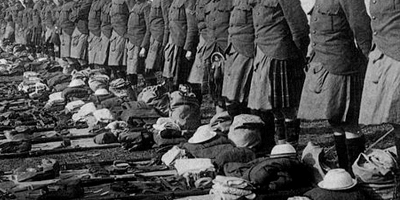 when they order a military kilt from USA Kilts? PLEASE NOTE: These kilts are made custom to your measurements. As a result they are non-returnable. They cost a bit more than our regular 8-yard kilts, but we are trying to keep the cost down — budget around $600. If you want to share this page with your unit and friends, we’d be grateful, but bear in mind this product will not appear for sale on our website — it’s just for you guys.